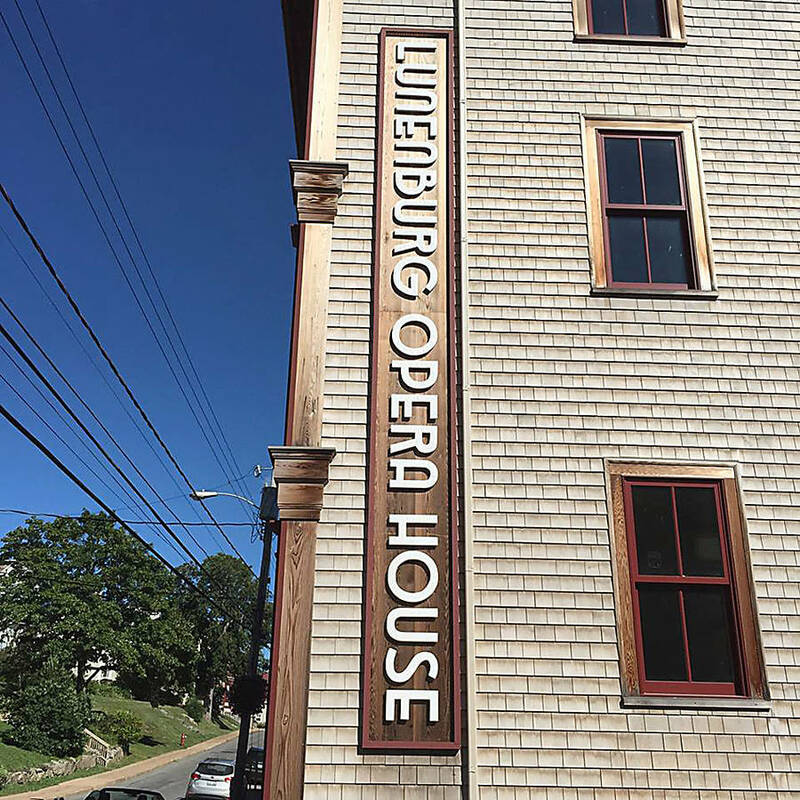 At least two artistic groups are potentially interested in buying the historical Lunenburg Opera House, according to the executive director of the Lunenburg Doc Fest, Pamela Segger. Segger recently met with Devin Casario, a founder and partner of Culture Link CLC, the not-for-profit group behind the $13 million re-purposing of the World Trade Centre in Halifax. Culture Link is turning the former trade centre into a cultural hub, which would include a theatre stage, a cinema for independent filmmakers, a television production centre and two dance studios. "They are considering buying the opera house. But it's all very new. It was just an initial conversation," Segger told this newspaper. "Doc Fest being one of the best renters, meaning the biggest ticket renter, they wanted to hear our input," she explained. According to Segger, they discussed Culture Link hosting a "town hall type event. "That's what I was suggesting to them. That if you're going to do this, and you don't want to be perceived as outsiders sort of swooping in." Casario declined to speak about the matter with LighthouseNOW. "Our official position is no comment at the moment," he responded in a telephone call . Incorporated in 2017 as a Community Interest Company, Culture Link declares on its website that it's "positioned to be a leading developer of creative industry spaces. "We are dedicated to transforming the interaction of art and commerce by building inclusive facilities where work, play and collaboration combine." Segger said she's also aware that the Folk Harbour Society was looking at potentially purchasing the property in conjunction with a U.S. investor, "where they would sort of split the capital purchase." When LighthouseNOW spoke to her last week, she said it was her understanding the decision was imminent as to "whether they were going to proceed or not." Those discussions have been "in the works for at least a few weeks," Segger added. LighthouseNOW reached out to the society for a comment, but did not receive a response by press time. This paper also contacted the property's owner, Farley Blackman, on social media, but had not heard back from him by deadline. Blackman listed the property at 290 Lincoln Street in June 2017 for $2.25 million. It is now selling for $895,000. Prevously, Blackman stated that he bought the historic building for the purpose of saving it, and wanted to see it as a focal point for arts in the community. Blackman left Lunenburg for a job in Australia in the fall of 2017, after expressing frustration over run-ins with the town over development. The listing on Royal LePage's website says the building's cornerstone was laid in 1907 and the first performance in the opera house took place in January 1909. It notes that in the past decade the building received "a no-expenses-spared restoration." Those included new western red cedar trim and eastern cedar shake on the exterior. The building's restoration included a new stage and sound booth, while bringing the building up to code.